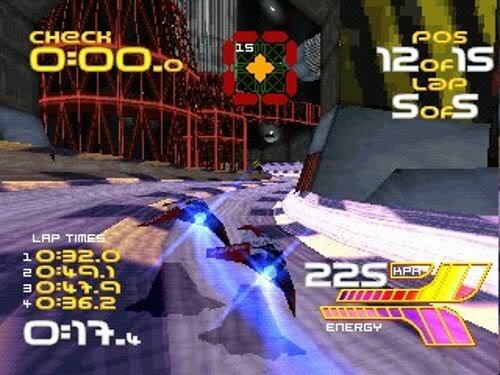 Wipeout was a breath of fresh air on a console that had a lot of racing games. Although Ridge Racer and Gran Turismo were brilliant, (and I especially had a lot of fun with Ridge Racer's retro Galaga mini game) Wipeout narrowly beats them to the post as the most memorable game. The pulsing soundtrack which included tracks by famous artists such as The Chemical Brothers and Orbital managed to fit in with the futuristic race cars flying around tracks at breakneck speeds perfectly. When most people think of Survival Horror they instantly think of zombies and ghosts. Recently it has gone on to include aliens and demons, but these ideas still won't beat the originality of a game that gives you nightmares by throwing dinosaurs at you. Directed and produced by the same man who directed Resident Evil no less, Dino Crisis had you trying to find your way out of an abandoned military facility and having to deal with an unforgettable assortment of prehistoric predators including, of course, that dreaded T. Rex. 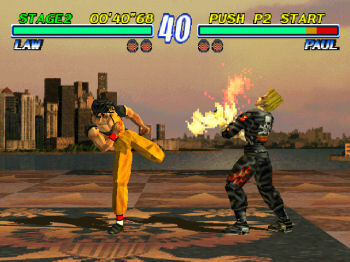 If it wasn't Street Fighter that got you into beat-em-up games back in the day, there's a good chance that credit goes to Tekken. Having played Mortal Kombat on the Sega Megadrive as well as other, more forgettable fighting games, it was Tekken (Tekken 2 in specifically) that always had me going back for more. The unlockable characters, story modes for each fighter and being able to have teams of fighters were just some of the reasons that it kept gamers engaged and the Multiplayer had everyone battling it out for the title of King of Fighters for hours on end. Lara Croft became one of the most instantly recognisable video game characters of all time and one of the several unofficial mascots for the original PlayStation console, a feat that didn't go undeserved. 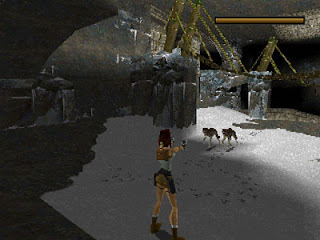 Tomb Raider 1 was a deep adventure game, filled with gameplay and environments that continue to inspire brand new games of today, most notably the Uncharted series. The game's legacy and popularity gave birth to two films starring Angelina Jolie as the English heroine and this March we will even see a stunning reboot of the Tomb Raider series get released. 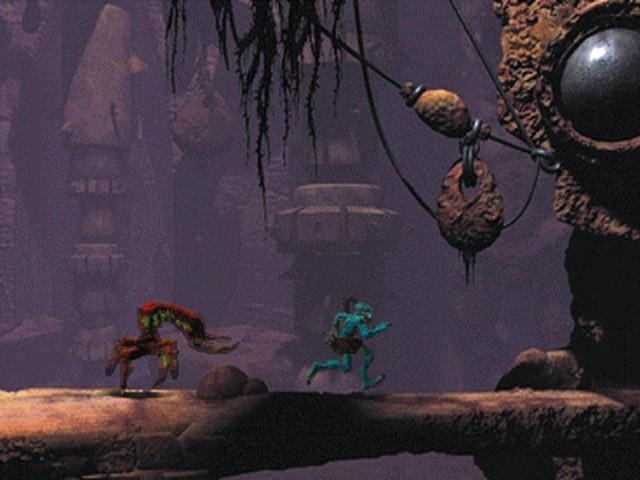 To this day Abe's Oddyssey is one of the creepiest and most atmospheric games I have ever played. No matter how hard games company try, I doubt I will play anything that will match the extraordinary, imaginative world of Oddworld. A strange and enchanting platform/puzzle/action/adventure - somehow this mishmash of gameplay works. You are Abe, an alien working in a meat factory who discovers his race are the next tasty delicacy on the market, as the usual species that are slaughtered for grub are going extinct, and Rupture Farms needs to make a profit somehow! It's Abe's job to save his fellow Mudokon and although Abe has virtually no physical strength at all, his powers of psychic possession tends to work extremely well on the machine-gun toting guards, creating an assortment of clever ways to get around the vast world safely. 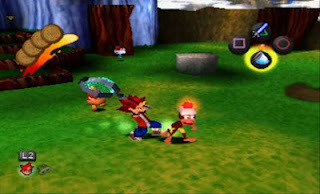 Ape Escape was released in conjunction with the original Dual Shock controllers that we take for granted for today. There was a time where the analog sticks we see on almost every controller were only introduced halfway into the PS1's life. Ape Escape was the game chosen to show it off, and that honour couldn't have gone to a better game. Designed to use both sticks as the main tools for action while the usual X, Circle, Square and Triangle buttons were simply used to switch weapons, the right stick gave you full control of where you could swing your monkey catching net and use other gadgets which the protagonist Spike used to capture a whole array of intelligent apes that were running amok under control of the evil self-appointed monkey king Specter. 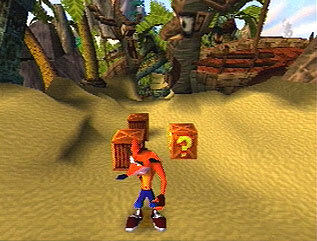 This gave the game an almost Pokémon style feel as you had to use your wits to catch the primates who each had personal stats and personalities, for example, some were wimps who hid in boxes that you could only break open once your mad professor designed for you a giant boxing glove later in the game, while some of the more fearless little creatures shot you with uzis or jumped in UFOs to attack you from the sky. Before the Raving Rabbids even existed there was a single limbless hero by the name of Rayman. This is one of those irreplaceable games that although was retro in its design compared to all of the 3D games available for the console by it's time of release in 1995, it never felt old. 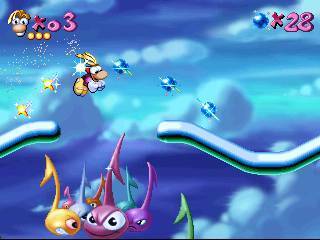 Rayman was a fresh game that appealed to players of all ages due to its accessibility and simple pick up and play qualities although getting to the end still felt like a fun and engaging challenge. The two main sequels that were released after this one however completely changed the Rayman formula and to many people this was a bad thing, although they were still great games in their own right. The creation of the party style games Raving Rabbids under the name of the Rayman franchise was an odd move, but Ubisoft have resurrected Rayman as a playable character once again with the return to 2D in Rayman Origins. These two are together because of their undeniable companionship as kings of the PlayStation 1 platformer titles. They are often mentioned together and compared and the two even shared crossover games on the Game Boy Advance. They are both 3D platform games that had a huge success because they were both filled with original ideas, addictive gameplay and more importantly: they were barrels of fun. Unfortunately the quality of the games decreased after different companies developed them for the next generation consoles such as the PS2. In a way this makes the original PS1 games even more special as they will always be a treat to go back and play no matter how old they get. 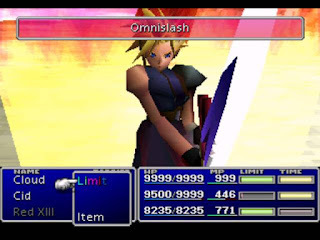 The Final Fantasy series that continued life on the Sony PlayStation after the 6th game opened up the realm of the J-RPG genre for many people living in the west and the games were well received both by players and critics worldwide. 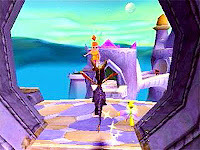 The games, famous for their deep and riveting stories, see the player exploring huge worlds, battling hundreds of creatures along the way and deciding their characters' stats and spells using an assortment of customisable character options and skill menus. The games are still popular to this day due to having one of the most dedicated video game fan bases in the world and you're almost always guaranteed to spot someone dressed as some of the famous characters they spawned if you happen to walk into any cosplay event. 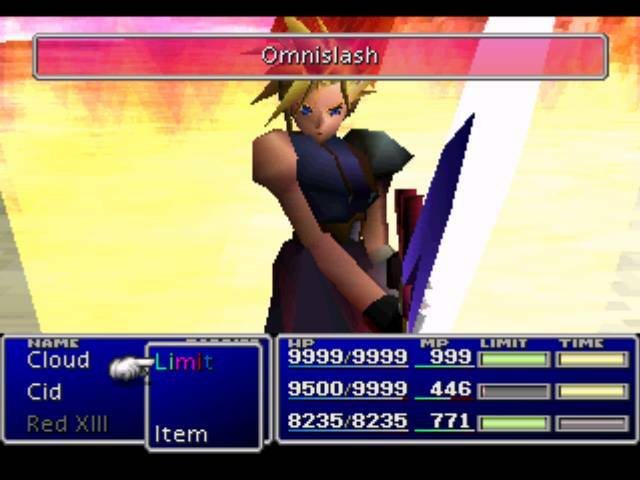 Out of all of the games I owned for the Playstation 1, there was none I went back to more than Metal Gear Solid. The game's mature themes of war, politics and life and death soaked in an irresistible concoction of sci-fi fantasy and intelligent conspiracy within its storytelling is just the beginning. The gameplay handles espionage in a way no other game since has been able to beat and just the right amount of humour that breaks the fourth wall such as a hidden code needed to continue with the game actually being on the back of the game's case itself, or one of the bosses taking over Solid Snake's mind, leading him to attempt to shoot himself in the head unless you use some insane out of the box logic and place the controller into the second slot, and this is just a few examples of the imaginative events you'll find yourself performing while playing this masterpiece. The replayability is also astonishing for a game like this, making you want to play it all over again several times upon finishing it. 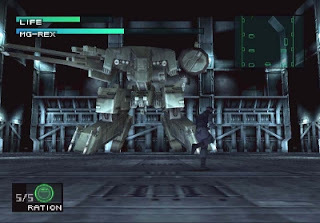 Metal Gear Solid is a game that effortlessly makes every moment of playing it a joy and, thanks to the extreme attention to detail and care given regarding the gameplay throughout, Oscar-worthy voice acting and absorbing storyline, it succeeds impeccably. So that concludes my top 10 list for what was arguably a solid console! 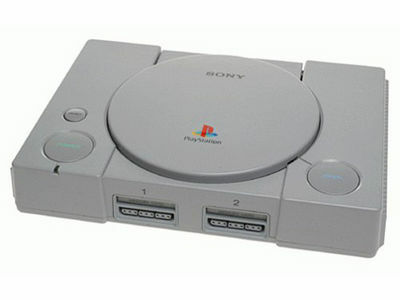 If there was a game you couldn't have lived without for the Playstation 1, tell us about it in the comments section below! Oh god, where is Resident Evil! What about Resident evil series man????????????? 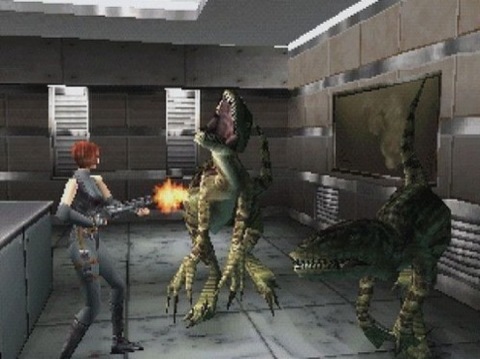 Dino Crisis... but no Resident Evil? You've got to be kidding me! And where's Silent Hill? Haha, I couldn't let this become a survival-horror list, but those two were close to the title! Let's just say all three deserve that spot, and perhaps as Resi had a few more games does explain why a lot of people might remember that one more. I just thought i'd mix things up a little!